Technology exists to make our lives easier, safer, and more productive. So, why are you still using an outdated IT infrastructure? Empower your employees to accomplish more by digitally transforming how they work. At Breakpoint Technology, our goal is to help you put solutions in place that can help your team accomplish more. Contact us today to find out how we can help you deliver the user experience and productivity gains your employees need to succeed. You want your employees to be their most creative, innovative, and productive always. So does Microsoft. 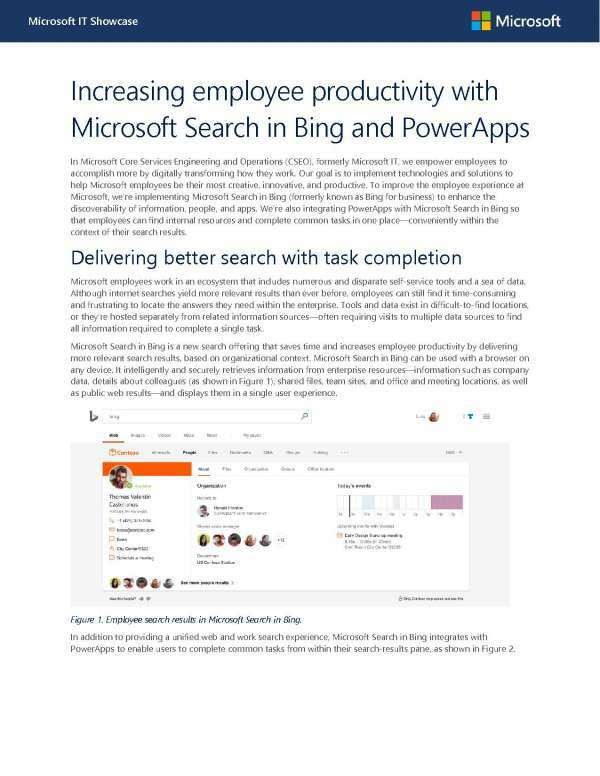 To improve their employee experience, Microsoft implemented Microsoft Search in Bing to enhance the discoverability of information, people, and apps. It helps their employees to find internal resources and complete common tasks in one place. Now you can take those same tools and create a modern IT infrastructure for your employees, and we can help. At Breakpoint Technology, we have years of experience helping businesses just like yours update and modernize their IT. Contact us today to learn more.